"Seguida" - N.Y. Latin Rock Group http://mlb.mlb.com/mlb/news/entertainment/artists/seguida/index.jsp Winner of 1976 Latin NY Magazine "Best Latin Rock Album" Fania /Onroda MusicWorks Classic Recording Artist The Latin -Rock explosion began when Santana first burst onto the music scene in the late sixties and early Seventies. Pete Nater,Steve Adorno, Lori Rose, Lou Perez and Carlos "Go-Go" Gomez. The sound grew to be the New York hybrid of Rock and SalsA. Their debut album, "Love Is?Seguida" was released in 1974 and was well received by both the Salsa and Rock media in New York. 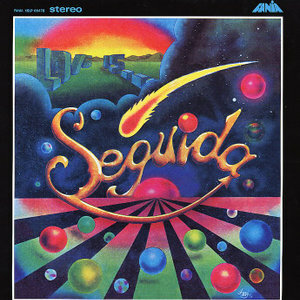 Seguida Has released several CD's Including "On Our Way To Tomorrow", "Seguida III", "Electric Siesta", and "Seguida Live" on the Onroda MusicWorks Label The "New York VILLAGE VOICE" Called SEGUIDA "THE SON'S OF SANTANA".